Every time someone mentions top-down driving I have this image in my head of an autumn afternoon sitting in the cosseting confines of a luxurious and comfortable cabriolet, gently wafting down an open road headed towards a private weekend retreat. 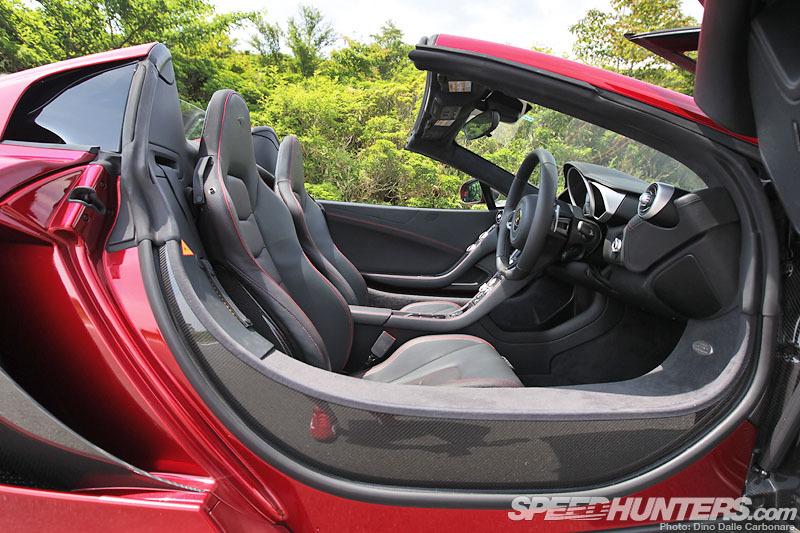 But the sort of top-down motoring I recently had the pleasure of experiencing in a candy red McLaren MP4-12C cabrio, couldn’t possibly be more different. 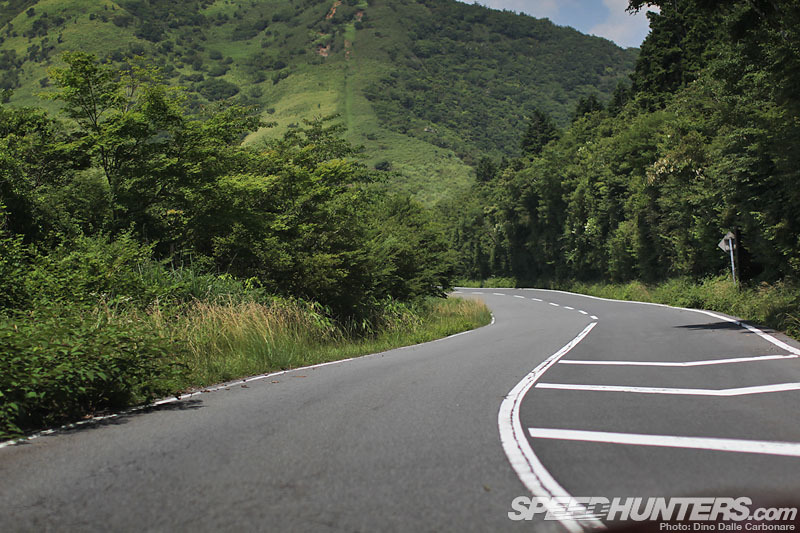 All I remember from those six or so hours I spent with the car is deafening, face-rearranging wind, and a screaming V8 soundtrack punctuated by fluttering blow-off valves and the loudest backfires I’ve ever had the pleasure of causing. I mean, if you get tossed the keys to one of the hottest supercars of the moment you might as well drive the wheels off it right? And that is exactly what I did. After picking the car up in central Tokyo I immediately jumped on the Shuto and pointed the car towards Shibuya, passing the fashionable district and continuing my journey towards the Tomei expressway. 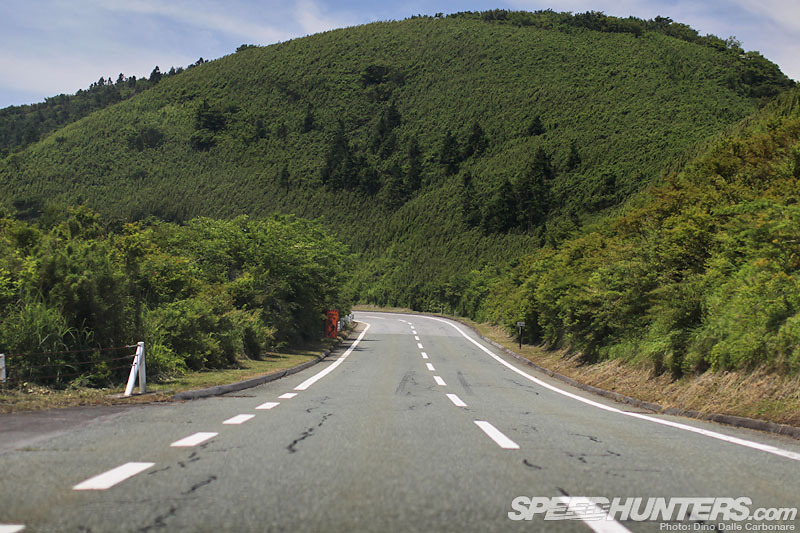 My destination was to be a favorite road of mine – one that I have been waiting to show you for a long time, but not until I had the right sort of car and just the right weather to get the best out of it. Today was that day. 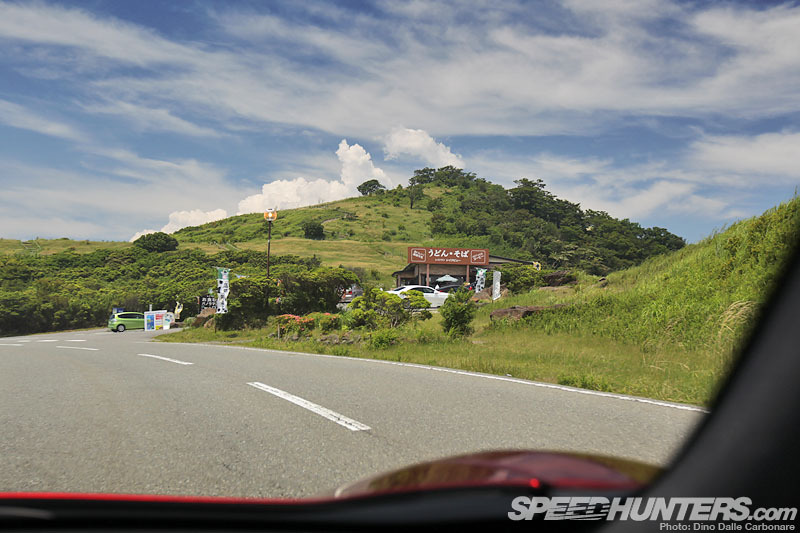 … on the Toyo Tires Turnpike – or the Hakone Turnpike as it’s always been more commonly known. Up until this point I had taken it pretty easy with the MP4-12C, slowly familiarising myself with the car and its simple yet intuitive controls. Compared to some of its direct competitors it does look quite sedate, but beneath the skin is an extremely advanced package. 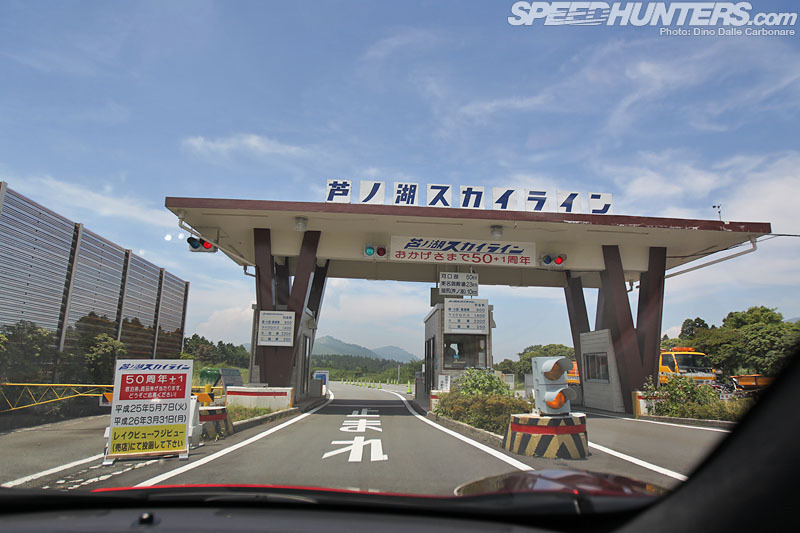 … it was a short 10-minute drive to the Ashinoko Skyline toll gate. Like most interesting roads around that area you have to pay for the beautiful views and billiard-table-smooth tarmac. 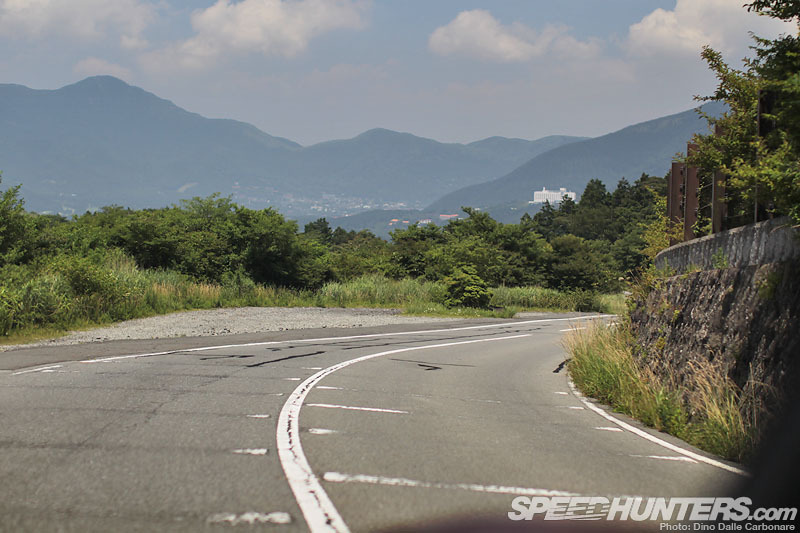 But ¥600 (US$6) was a small price to pay for the enjoyment of putting this particular car through its paces. 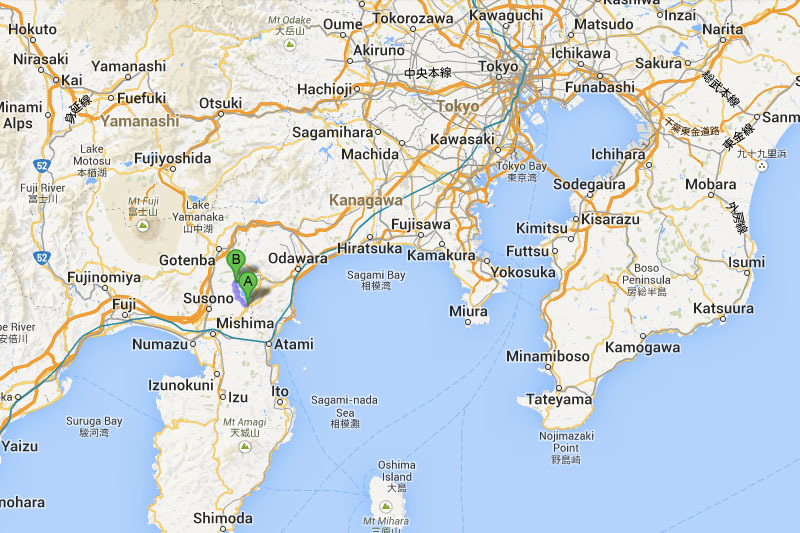 … the Dream Drive finally commenced. 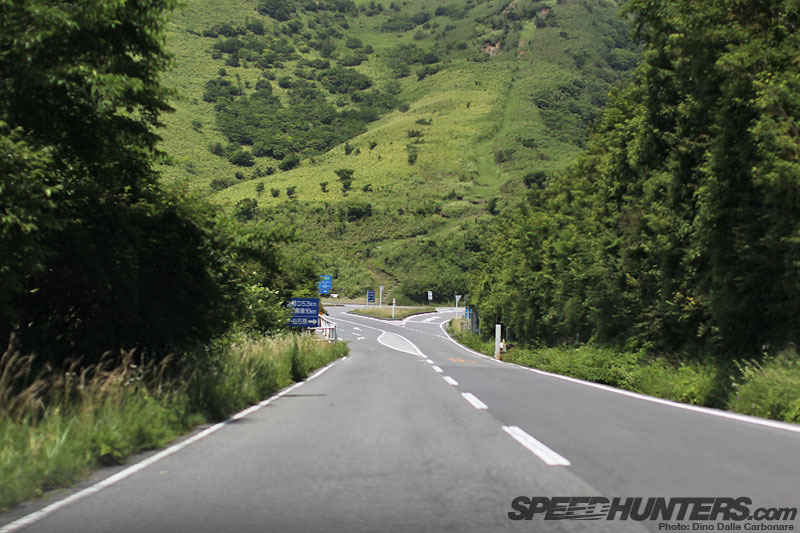 … that twin turbo V8 delivering one of the most memorable experiences I’ve ever had. 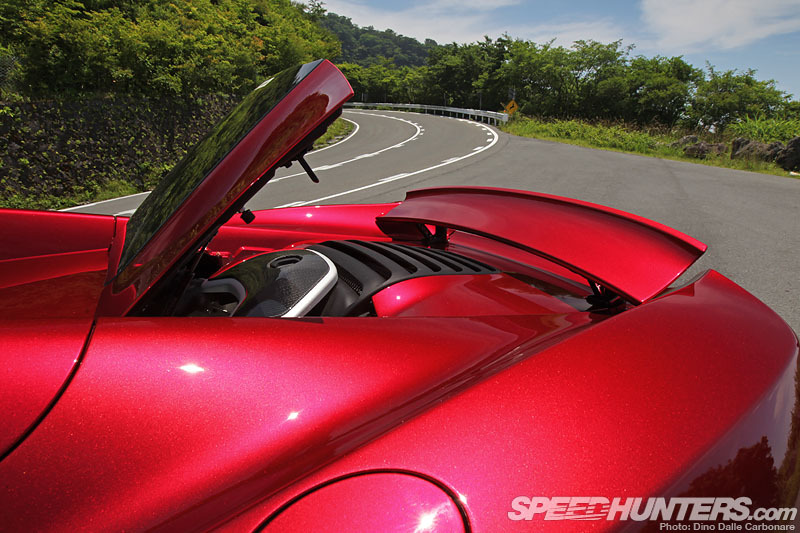 Even at idle you can feel this isn’t your regular high-performance engine. It has a little lumpiness, in the way a highly-tuned race motor does. McLaren purchased the rights to the Tom Walkinshaw Racing version of the Nissan VRH35 – the engine that powered the R390 GT1 at LeMans in 1998, but in this ‘M838T’ guise, what McLaren has created is very much a new concept. The somewhat small 3.8L capacity for a V8 is what gives it its character. Despite having a decent amount of torque from as low as 2,000rpm it just entices you to rev it more, and that’s when it rewards. From 4,000rpm onwards all of its fury is on-tap. 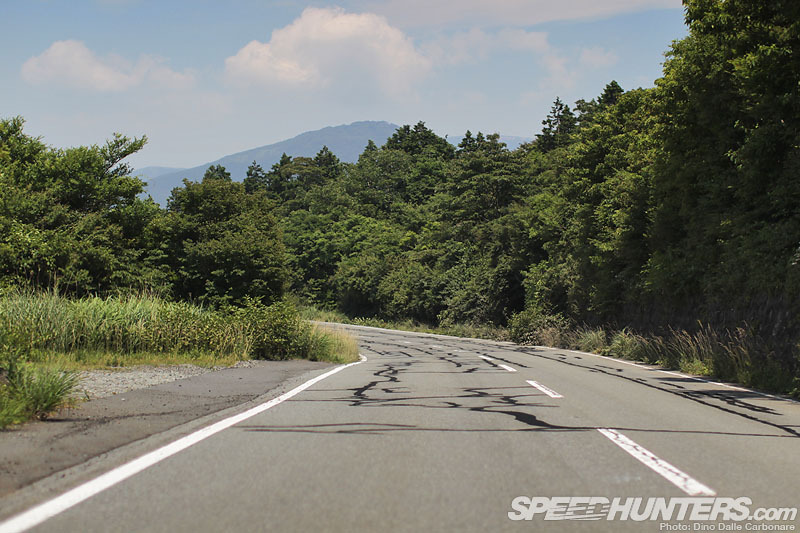 … cruising the whole Ashinoko Skyline till the very end, getting my images then putting the camera away and driving up and down the road a few more times at a more natural pace. … and here the McLaren’s chassis and suspension tuning really came into its own. 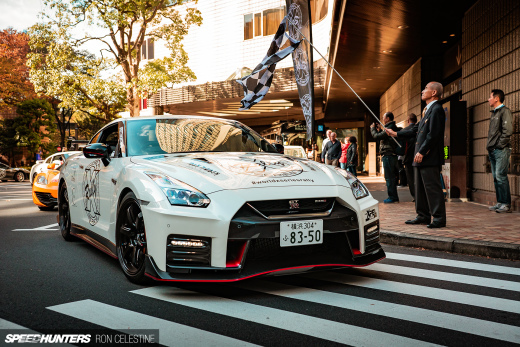 After picking the car up in Tokyo I instantly couldn’t believe how smoothly it glided over imperfections when the dampers were set in ‘N’ (Normal) mode. Rotate the Handling mode into ‘S’ (Sport) and the chassis instantly tightens up beneath you. 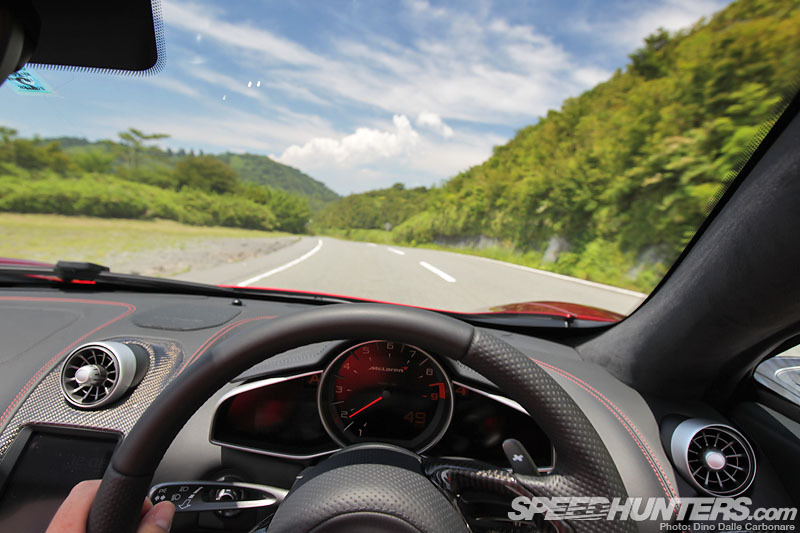 The car becomes more alert and responsive to steering inputs, with almost no body roll to be felt. 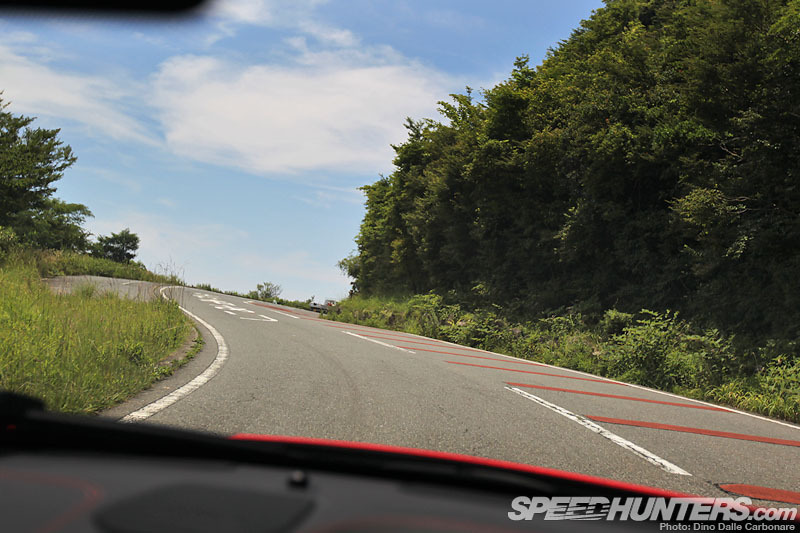 One click more and you are in ‘T’ (Track) mode, and it’s here that the car is in its most extreme setting. 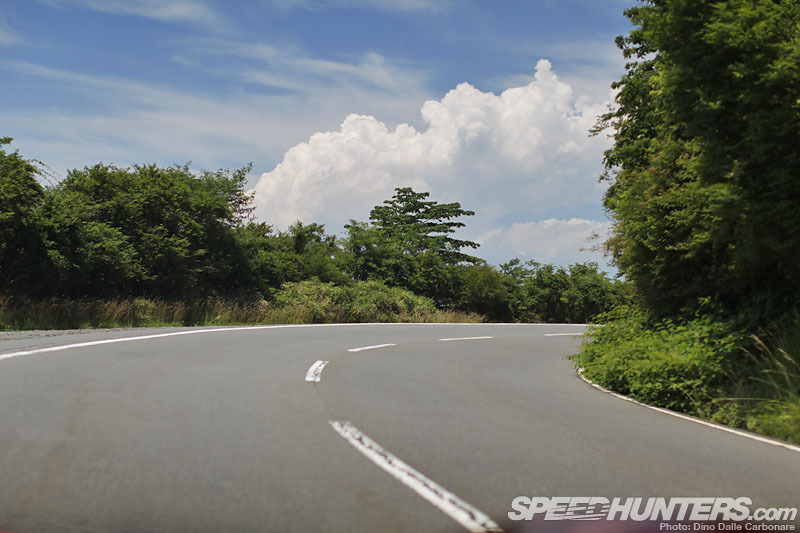 It’s perhaps too hard and edgy for normal roads, but it’s fun nonetheless. I always make a point to stop during my drives. It’s good to rest and ponder over the car, admiring it and taking more pictures, and at the same time trying to make sense of what your body has just been put through. It had been about three hours and the MP4 had delivered one of the most intense driving experiences I’ve ever had. At one point an old guy in his Land Rover stopped by for a look at the car and handed me a leaflet for an upcoming classic car meeting at Fuji Speedway, which was pretty cool. I guess he assumed that anyone driving this sort of car would definitely be a car guy! … down to the end of the road. 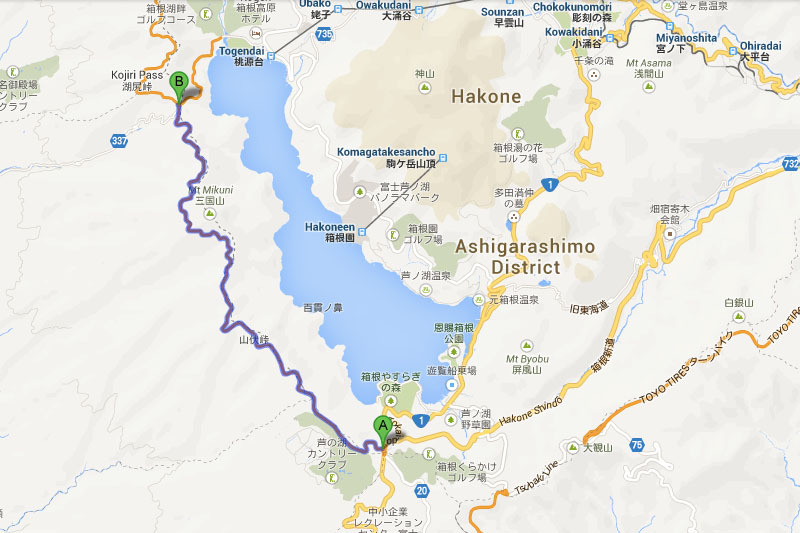 This road gets its name from Ashinoko Lake, which comes into view once you reach the very top of the mountain and drive into the observation area. I must have driven past about 10 times that particular day, but I thought it would have been sacrilegious to sacrifice even three minutes of seat time in the McLaren to grab a shot of the lake. Do you blame me? … which made the whole experience even more special. Right behind this corner is where the other toll gate lies. You are not really supposed to, but most people that come here to ‘drive’ will usually make a U-turn before they reach it. 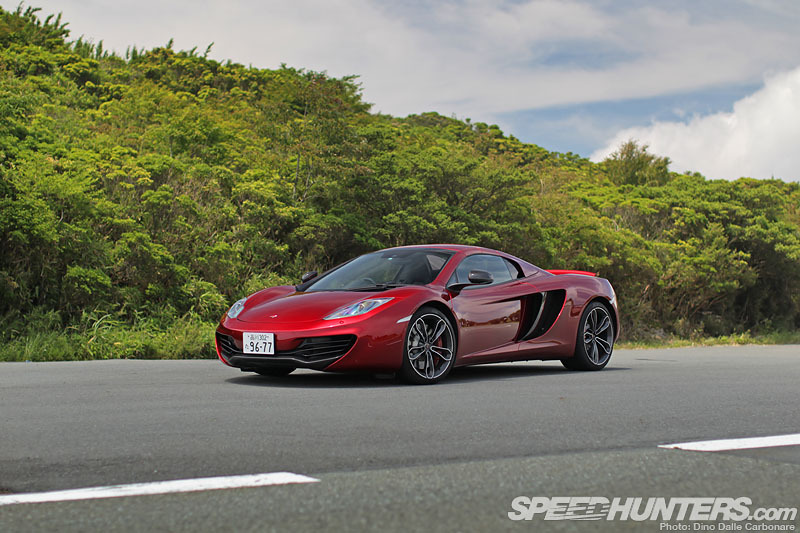 I’ve experienced Dream Drives in many cars but I couldn’t get enough of the MP4-12C. 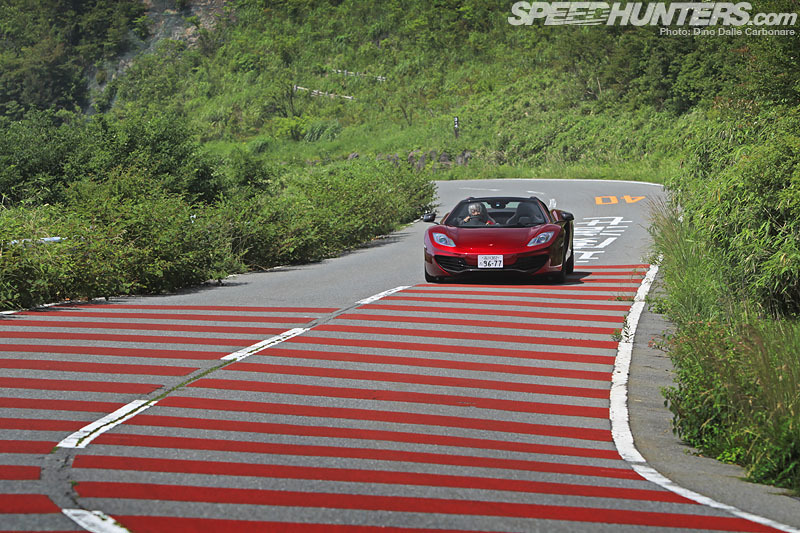 In fact, only one car has ever had the same effect on me, and that was the Ferrari 458 Spider. These cars are direct rivals and although they deliver very similar performance, it’s done so in two very different ways. 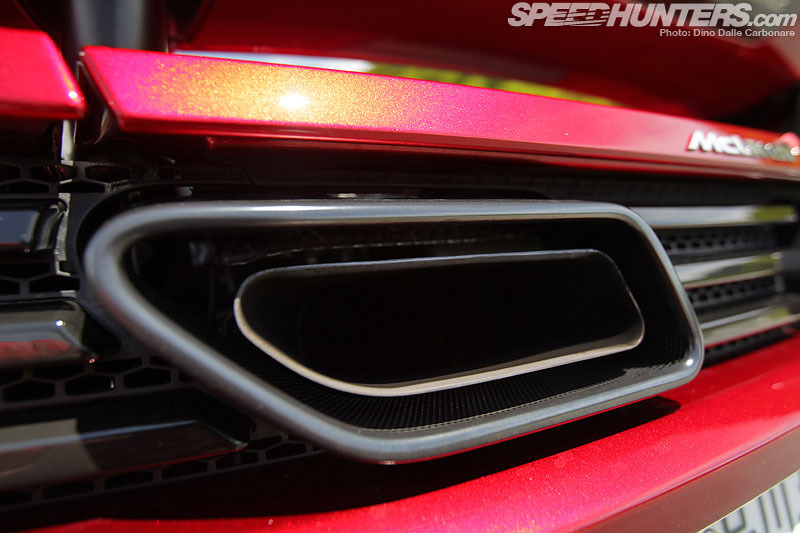 … and how the optional Inconel exhausts pop out from the center of said grill and provide ridiculously loud and rather badass backfires. 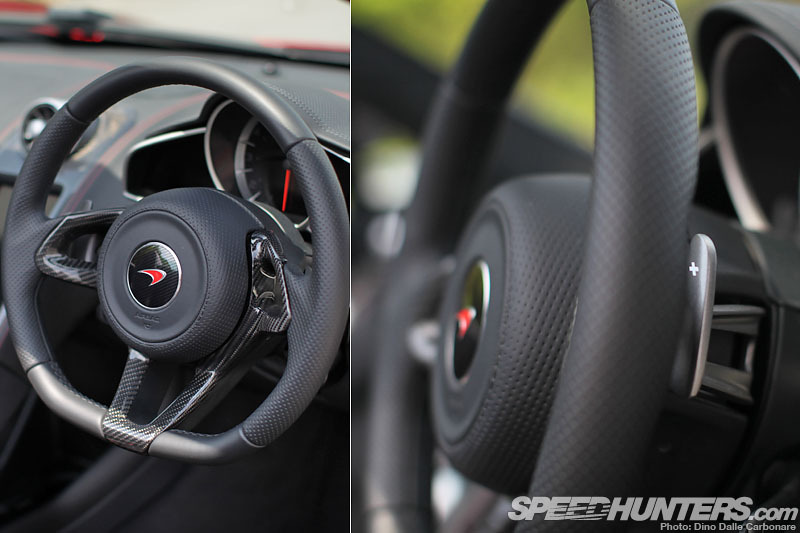 … and presentation, all topped off with McLaren’s signature design. 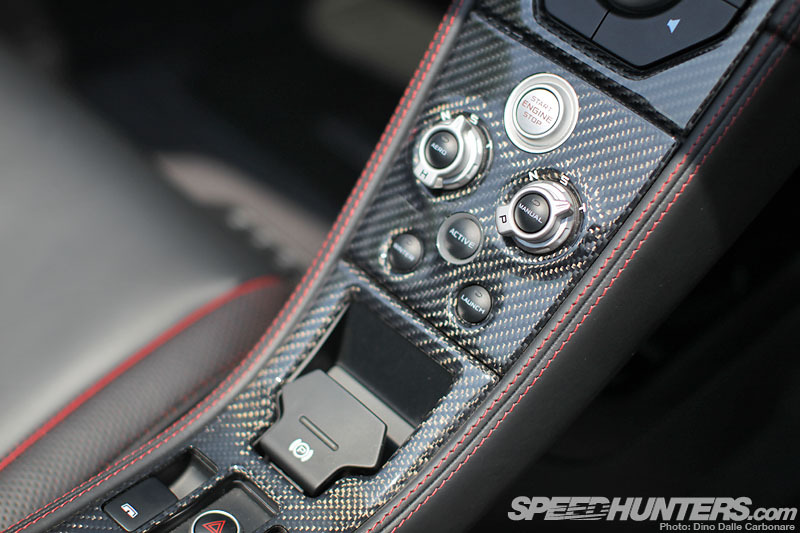 Oh, and that air-brake that automatically tilts when you mash the middle pedal – absolute coolness right there! You either get it and appreciate it or you don’t. Every detail has its purpose and isn’t there to wow or impress, but because it has a job to serve. The brakes did well throughout the day, but it was concerning that they gave up in the downhill section that I mentioned previously. 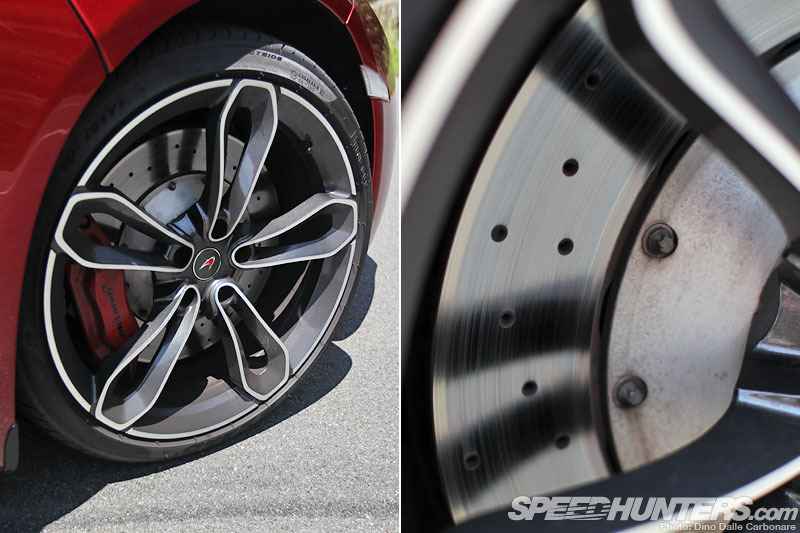 If you plan to drive your MP4-12C hard, the carbon ceramic upgrade would definitely be the way to go. … with the center console the core of the interface. I love how the LCD navigation screen is oriented vertically – almost like someone had docked their personal iPad mini in there. The main controls for the driving side of things are within easy reach at the bottom of the center console and are divided between ‘H’ (Handling) and ‘P’ (Powertrain). It takes about 30 minutes of playing around with each combination of settings to figure out what each does and what the best may be for you. I left the Handling in ‘S’ for most of the day and the Powertrain in ‘T’ to get the fastest changes from the dual-clutch transmission. 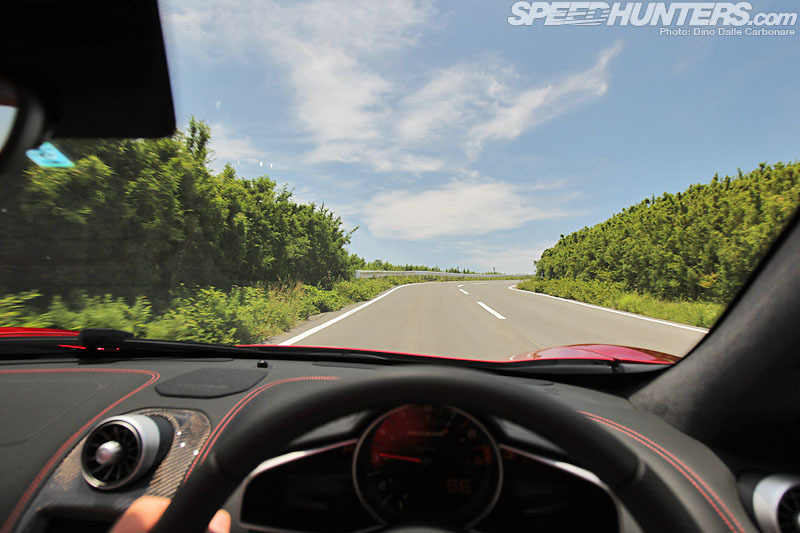 And if you are wondering, yes – the Ferrari 458’s gearbox does shift and react faster. This is definitely an area McLaren can improve. 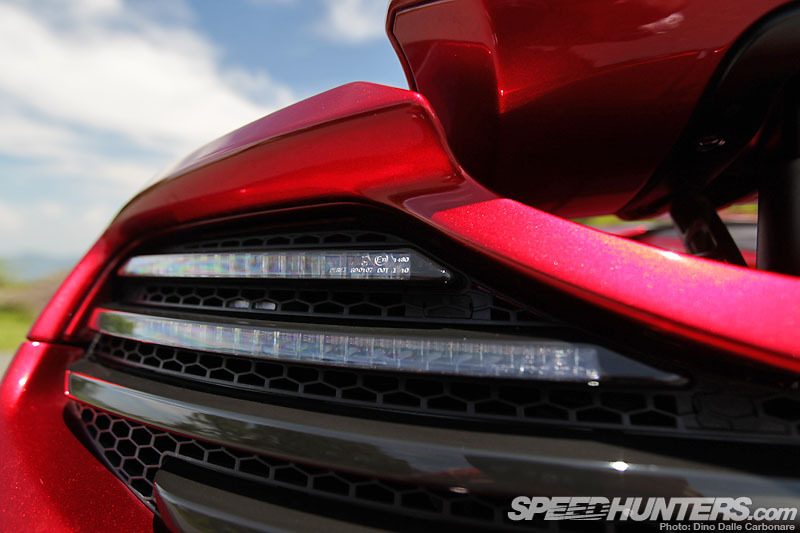 The duality of it all is what really makes the MP4 shine. 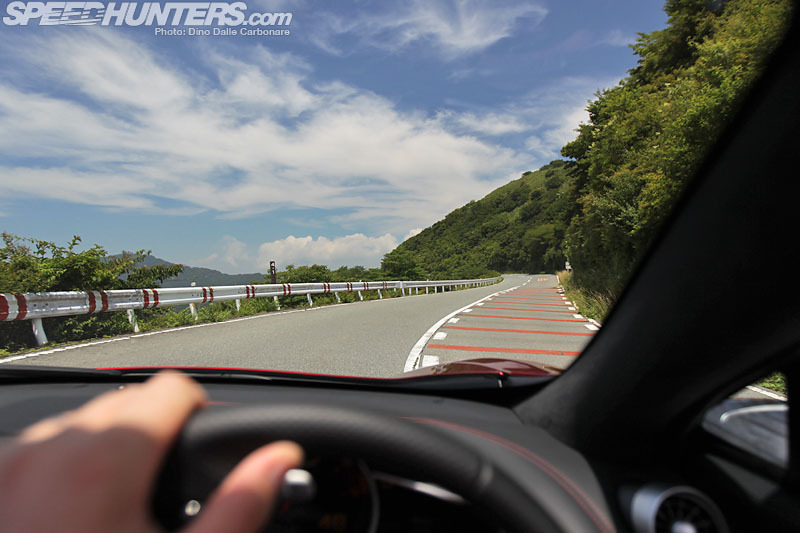 After you are done driving hard you tone down each setting and let the car transform itself into a useable every day car. Throw in the fast opening and closing hard top and you have quite the complete package in your hands. 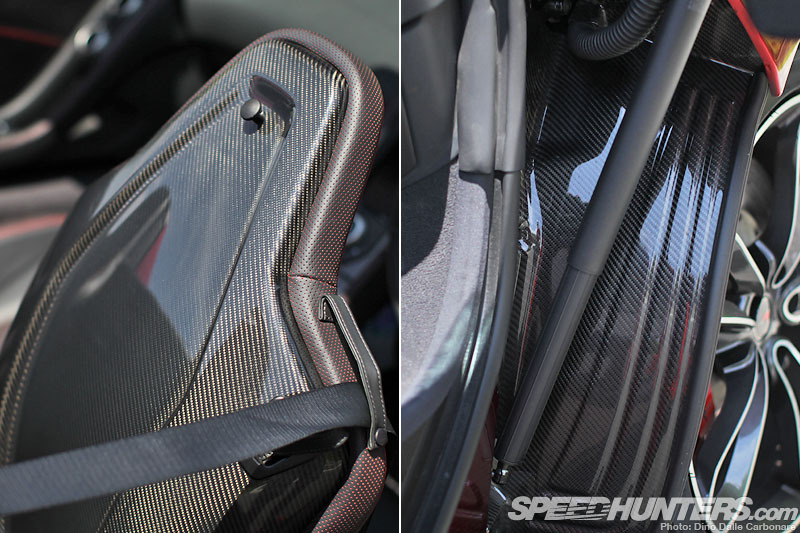 The optional carbon bits fitted to the test car included the seat backs and even the exposed part of the front wheel arch which becomes visible when you open the doors. … for a spot of lunch. 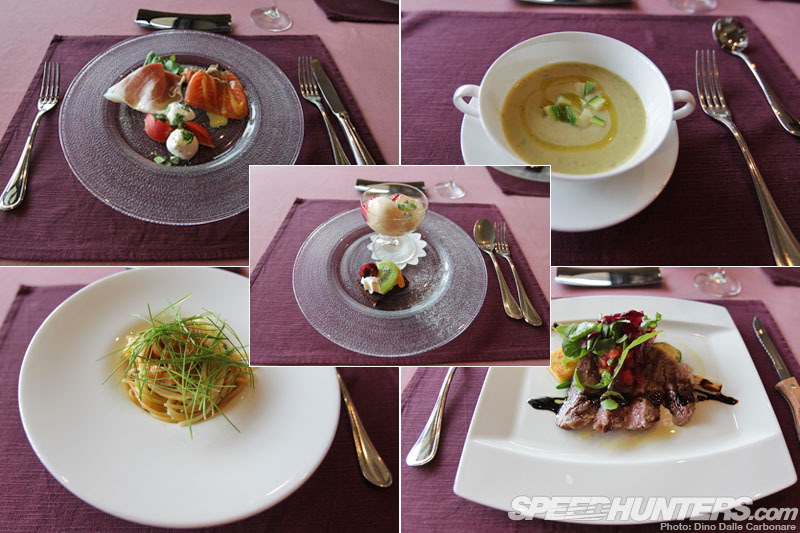 This restaurant happens to be owned by the same company that officially imports McLaren cars into Japan, so once the staff saw me show up they allowed me to park the car on the lawn, safely away from the tight confines of the car park. How nice of them. Much more thinking about the MP4-12C cabrio was done over some exquisite food – a superb and rewarding way to bring this very special day to an end. 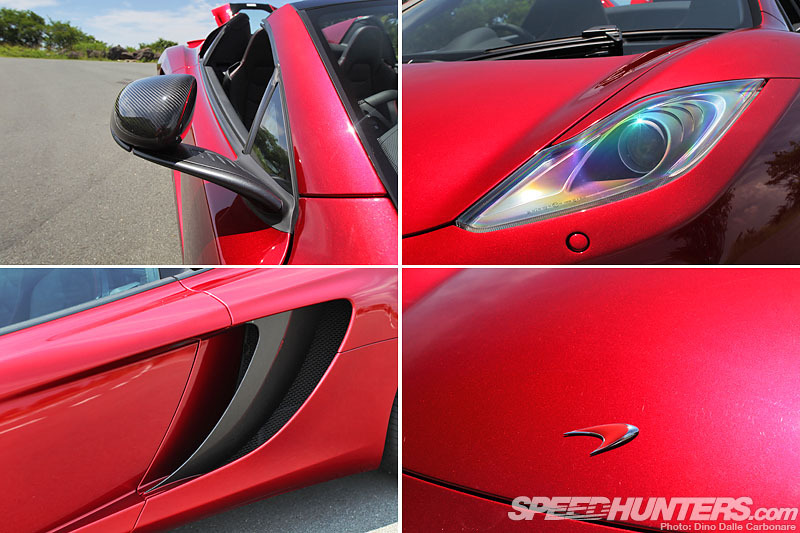 It’s hard not to praise the no-nonsense approach the MP4-12C brings to the supercar experience. It gets the job done and it’s actually a surprisingly easy car to throw around and explore its impressive capabilities. But at the same time I can understand the criticism that it has been subject to from some, saying it could do with a bit more soul and character. To me however, this is just testament that it gets the job done so effectively and without drama. 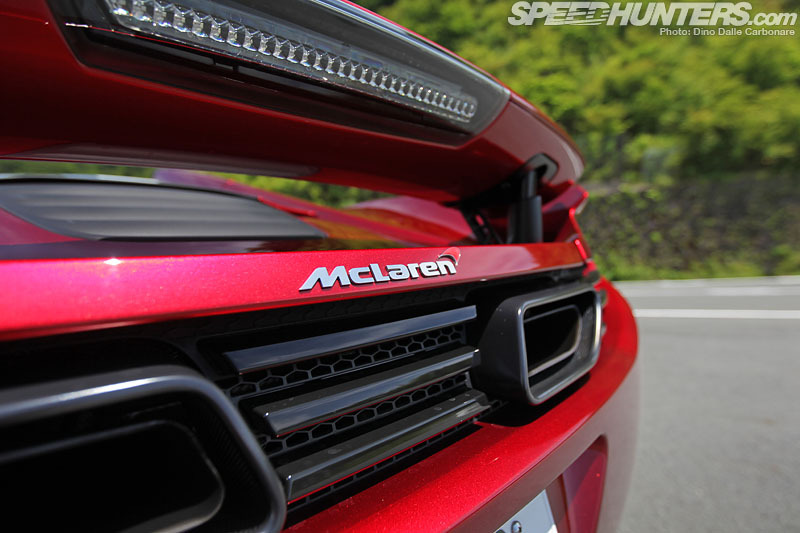 McLaren has definitely managed to sculpt its own identity in a cut-throat market, and the MP4-12C – be it in coupé or open top form – is just the beginning. Great article Dino. 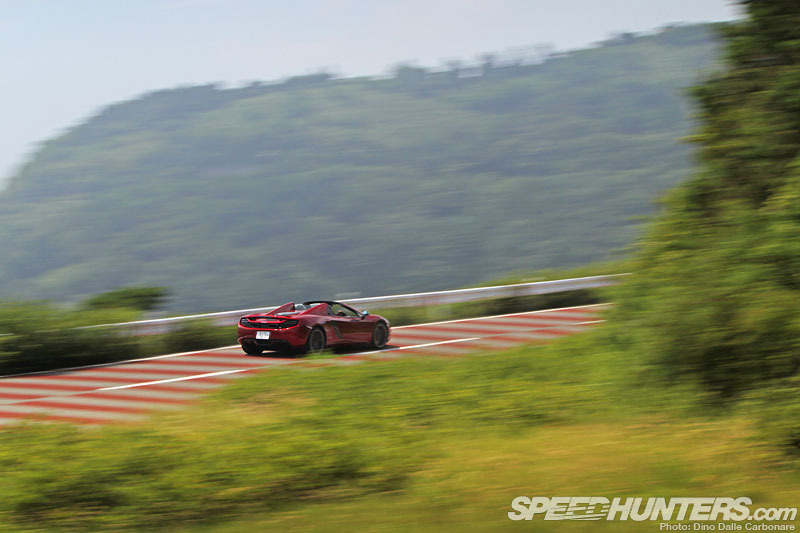 Far more relevant than powersliding round a track is write up is more like "what would it be like if I owned a McLaren MP4-12C and took it out for a mid week drive in the country". Far more relevant than powersliding everywhere. And great photography picking up some of the delicious design details of this car.